Been looking for a cheap tripod for my video camera,found it! Not too shabby seems good value for a pound! Ok seeing as nobody has an detailed review of this... OVERALL: Cold - Not worth your pound, to be perfectly honest. GOOD THINGS: 1 - Cheap 2 - Will hold your camera... ish (see below) BAD THINGS 1 - The telescopic legs don't stay extended. 2 - Very badly made - one of hte legs fell off mine after a few days 3 - The head doesn't fix in a good position easily 4 - The telescopic part of another leg came out after another few days. 5 - Will only hold very light point and shoot cameras IN SHORT: Get this if you need something to steady your point and shoot camera with... As in if you're taking a photo in a low light situation and need to keep the camera still so you can get a good photo. Don't expect to be able to do anything fancy with it. There is no way you'll ever get decent video footage with this. If you want to do some proper photography or video work, shell out £30 for a decent tripod. Currys Digital are selling a really nice Manfrotto tripod for £30 instore as a special price, and I got one. It has a nice smooth pan, but that's another product. Some shops sell them for around £5.. and seem much better..
How so imran? Is it wobbly or something? 80 sheets of Superior Photo Paper with a gloss finish in Poundland! 4" x 6" Available instore!!! They used to have 40 sheets for a pound for a different brand. THESE ARE EVEN BETTER! Great for use as queue cards and very cheap. Being sold for twice as much on eBAY! Are "queue cards" similar to cue cards? i work in poundland we sell shed loads of these we always have them in tho ! johnsons holiday skin 2pk £1 at poundland!!! Brought 3 and yes I can confirm it DOES stink (like BO I think!!) but having said that it doesnt leave me looking streaky and as if I have been Tangoed:thumbsup:d!! much prefer the dove one.....but at this price its a steal! It smells vile! But good price if you can stand the smell. It is ashame companies have to call their products names like this... gimmicky trash. Still in Wolverhampton, so are the psp cases. Douwe Egberts Le Cafe Espresso Ground Coffee 250g for £1! Quality fresh ground coffee and very very potent (5+ on their strength Richter scale) Ive regularly paid over £2.50 before for this in the supermarket. Poundland does it again! Just got a friend to pick five of these up for me, and they all say on the back: IT IS NOT RECOMMENDED THAT THIS COFFEE IS MADE USING AN ELECTRIC ESPRESSO MAKER Why the hell not? Thanks for that. Good luck staying up. Hammer. You need a cafetiere. Great price for a great coffee! Probably a dumb question but is it instant or do you require a machine of some kind ? The Machinist - DVD- for £1! The Medusa Touch, Stark Raving Mad, Donnie Darko, the aforementioned Monster, G.I. Joe: The Movie, Wonderland, Transformers: The Movie, Rabid, Kickboxer, Seed of Chucky, Secretary and Chopper are among those spotted in Poundlands at various points, so be sure to keep looking in. no machinist in lincoln but they did have quite a few MONSTER starring charlize theron though cheers anyway! Great film .What a bargain. They went bankrupt and the stuff was practically given away, we bought thousands of them at 10p for the less well known titles and 20p for stuff like Bride Of Chuck, House Of 1000 Corpses etc. 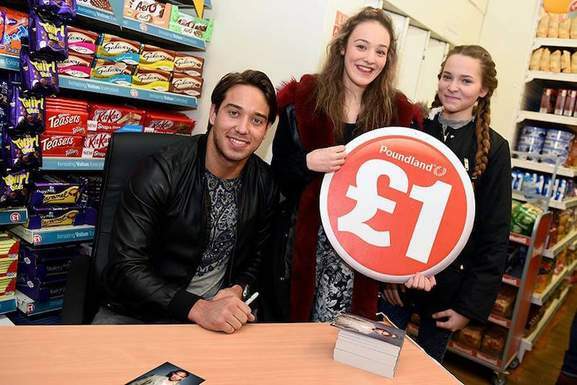 Poundland must of took loads more than us so probably paid 10p for any or even less. So they're still making a killing on these. I had some of those, lasted a few minutes each !! Some bargain. ]http://www.homehealth-uk.com/medical/pregnancy-tests.htm hope that works, if not google home health then search pregnancy tests:thumbsup: Very reliable, have bought from there.. they supply the NHS so accurate too! Missus - Lady....Link doesnt work and I cant find website. Pls could you let me know how to find it! Ta. x:? used to use these ... icky ... much prefer spray. Er, it's not underarm hair gel! Maybe you should give it a try before making daft assumptions! Not vbery good at all I have some, Shockwaves Texturising Gum is a lot better. I use fudge hair shaper with the caramel scent, holds my hair in shape all day and washes out after 1 rinse. As for this shock waves i bought some a couple of weeks ago in the Southamptoon store, i found that it didn't really hold well after applying as i have short spikey hair, it seemed to drop the shape i wanted at the back while fudge holds it in place after applying, found it also easy to wash out. FINALLY! This has reached the front. I think it's because i posted it late. CLEARASIL ULTRA MOISTURISING ANTI-SPOT CREAM 30ml Only £1 at Poundland!!! pound land is good for stuff like this. you got to go weekly to see what bargins you can get ! Thanks for this managed to get some today. Just saw this on the webiste now. Will pop into my local poundland and pick up a couple for the kids. This seems very cheap, but my dough was all dry so went straight into the bin; the nutcracker type squeeze machine broke in 24 hours with my 4 year old. I bought another one; it broke again. Some of these sets have little moulds for making animals, which work very well. The cooked one lasts much longer too! Nothing new. These have been 4 for £1 in poundland for literally years! Also Pepsi, Diet Pepsi, Fanta, and a few more. Hopefully this will do better than the disasterous Louis Hamilton thread a week ago LOL 14 pack assorted multipack of walkers crisps at Poundland, for ..errr... guess how much? Everything is unhealthy these days... even the stuff that you grow in your own garden. Saw this in my local poundland today so picked one up. Its a fairly big size and not one of them mini games. Tesco Value A4 paper is £1.73 for a ream of 500 sheets. Equivalent to £2.50 per ream.. Tesco and Asda sell a ream for a similar price ( often less). I guess this could be the reason for people voting cold. Not voted either way myself , as its a good deal for people that don't use much paper. 4-port USB hub at poundland!!! there was a 4port USB hub at poundland and it works great. And its only a quid. Picked up one of these yesterday. Only USB 1.1 rather than USB2, but ideal to connect stuff that doesnt require fast data transfer. :thumbsup: Rep added. My local Asda has 100's of these in their £1 section at the moment. 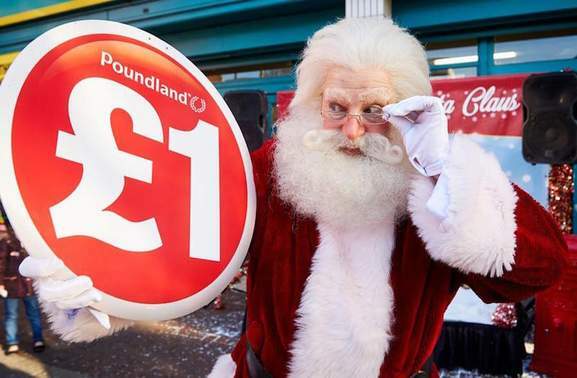 Just incase someones not near a Poundland. great pc games for the kids including pingu, teletubbies, little robots and tubba dubbers. kept my kids entertained and easy to play. Anything for £1 is always a good deal voted hot! Not true. You can have it half working, with lots of errors and frames being lost, especially if there is external noise or interference. That's what you can get with a cheap, unshielded cable. Again, it's not as black and white as that. Just as there are different types of USB, there are different qualities of cable, and varied levels of "working". Every link in the chain matters, and a poor cable can make the difference between a link working at full speed or not, especially if the connectors or PC cabling is poor, or there is a high level of electrical noise around the PC. If XP can't negotiate a USB2.0 Hi-Speed connection it will fall back to USB 1.1 "Original" mode and flag up the warning that your device is not 2.0 compliant. That's not a screw-up - it's XP telling you correctly that's something's below par. All cables that are made fully to USB1.1 spec will work with 2.0. But before USB2.0 devices came along, cheap-skate manufacturers discovered that they could dispense with expensive double screening to save a few pence and still get their bit of wet string to work with 1.1. But of course that same cable struggles when the data rate is pushed up from 12Mbps to 480Mbps. Even if a cable or packaging is stamped as "USB2.0", does anybody put any trust in labelling on goods from "knock-off" China? I'm not saying that the Poundland cables fall into that category, just that there are a lot of sub-standard cables out there, where it is more luck than judgment that they work consistently and error-free at Hi-Speed. Quality of cable matters if you are shifting analogue data. For example, speaker wire that has to manually recreate the data across its length, as distortions and data degradation can creep in. This, however, is for digital data. You do not get low or high quality Ones and Zeroes. It either works or it doesn't. As for the USB device type detection error, look at the OS, not at the cable. If the cable were faulty, no device would be detected at all. XP screws up all too often with the best quality equipment, including Microsoft's own. You obviously don't know much about USB or resistors :) I've tried some of these cheap cables in the past and they frequently only worked at USB 1.1 speeds instead of 2.0 (with Win XP popping up a warning). Hardly ideal to be using the 40x slower USB 1.1 when you're transferring music and video files. I might just pop in and get one of these as I could do with a spare one for travelling place to place. A BIG packet of KP nuts only for a pound, Asda do a smaller packet for the same price..nuts very addictive tgh!! loads of camping essentials at poundland. !!!!! Some_Bloke;1913689 Wouldn't soup run out of the bottom of a mesh tin? I use a mess tin all the time. Saves scalding my nadgers. I got a mess tin and camping cutlery cheap as chips! Wouldn't soup run out of the bottom of a mesh tin? I use a mess tin all the time. Saves scalding my nadgers. I think its a bit arrogant to say it wasnt complicated as I didn't think there was a definitive explanation and that it was very open to interpretation. I've read numerous theories many of which make sense but they can't all be right but they all think they are. Great film well worth £1 if you havent seen it. damm! Wont this film just die? Oh c'mon it wasnt that complicated, just needed a bit of lateral thinking and some creative imagination, its a great film, great soundtrack, great cast, top notch, much better than the directors version. Try watching Mulholland Drive and then tell me Donnie Darko was inexplicative.:? 4x AA 800 MAH Rechargable Batteries £1 !! 800,000 mah if allowing for 1000 charges!!!!!!!!!!!!!! A bit cheaper than Duracells. Being nicads they are certain to be more stable than very cheap NiMh ones. A good value poundland item. Voted hot.  Batteries - AA Kodac Zinc 12 pack Batteries £1 - AA Super Sony 8 pack Batteries £1 - Button Cell Hyundai 50 pack Batteries £1 - and other GREAT PRICES on other batteries. Other GREAT PRICES on other great batteries. The great prices wouldn't happen to be £1 by any chance would they ? Hence the £1 price tag - However the AAA versions did very well in my energiser torch. Okay for remotes etc, but wouldn't last two minutes in a digital camera etc. This not a bare bones dvd but a special edtion which features. Director's commentary. Deleted scenes. etc. first post so be gentle with me..
Hama - PSP Essentials Kit - BARGAIN £1 !!!! Nice work OP, I will have to take a look in there tomorrow lunch time while I am at college, there was something else I wanted from PL just can't remember what, oh well, it will come to me eventually :) Thanks, Mike..
Not sure, but I believe so, though I do know stock varies occasionally between stores, but it is a general offer and not a special line. I got it from the Wolverhampton store and they had bucket loads. Maybe phone before you make a special trip, but a genuine bargain and they were going fast when I was in store. Is this offer at all PoundLands? Hama - PSP Sound Case - BARGAIN £1 !!!! I believe HAMA own the Gamexpert brand. But yes, unbelievable for a squid!! (remember, even includes the batteries - with approx 8 hr life!!). Got one of these for my son instore yesterday.... absolutely brill for a quid crazy price, they had loads in stock!!!! When turn up it rumbles a bit like a sub and speakers great buy. Not Hama but Gamexpert!!! I have found they only show a very small selection on the website. Its in store for sure. Is it in-store? Can't find it on their site? Typical that the one in Preston has closed now that they actually have something useful to sell. None in the Poundland in Leeds. 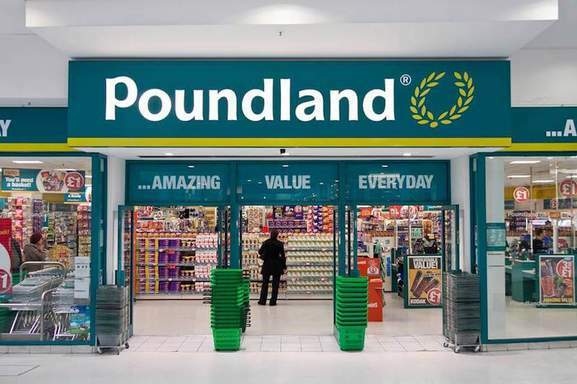 went to poundland in meadowhall, sheffield and none on the shelves. BUT IT WASN'T £1.15 AND I DONT LIKE TO LIE!!!! Croydon branch has the original 1986 Transformers Movie hidden away in its 'cartoons' shelf. Worth a quid of anyones money! the harrow store is pants i mean they had no pornos! :p lol there was nothing good in the harrow one only some dvd on amir khan and lots of vhs's about david dickinson! There have also been some posts about BOGOF haribo sweets....poundland do two packs for a pound they are only the 175g bags but they are normally the obscure packs like fantasy mix and magic mix which aere really nice but u cant pick up in most supermarkets still voted hot good deal if u can find anything! 4 Packs of Trident Splash for £1! 4 Packs of Trident Splash for £1! Bargain! Gads, so detailed.... Anyway what may be unsuitable for you may be great for others. Thanks for the detailed report though. Beware of this stuff. It gave me terrible wind &amp; the s**ts, &amp; I've heard similar stories from other ppl too! Its been about 4 wks since I ate it &amp; only now am I finally starting to push firm ones out! OP is about standard batteries and should be judged as such , rechargeable batteries are a different kettle of fish. As a standard battery 12 for a quid is a good bargain.You can also buy 2 rechargables and a charger both at £1 each from the same shop. I have these, this offer has always been on as last October I thought I was being a "smart a***" and bought £10 worth and they are rubbish! In my wireless apple mouse they last 2 weeks, standard batteries usually last around 3 months! Wireless Apple keyboard around the same again. PS3 remote Control they lasted 4 weeks. TV remote 2 weeks. They are perfect emergency batteries but dont expect to use them as a cost cutting measure, over the space of a year you probably spend more! Recharging takes barely measurable amounts of electricity - I'm with pibpob, go the Hybrio/Eneloop route. With a decent charger, you'll never need buy batteries again. No, not at all. Do not get hung up on brand names. "Sony" (a dubiously over-inflated brand in the first place) means nothing. "Zinc carbon" means everything - i.e. the crappiest form of battery. No-name alkalines are much better value, and rechargeables are much better value still (costing a fraction of a penny per charge). You are quite obviously an idiot, and getting Birmingham, confussed with the Black Country, which includes but is not exclusive to - Dudley, Walsall, Wolverhampton.... Anyway aslong as the charger fits in the hole, and the voltage isn't too high, it will charge, it's not rocket science. Easy Sink and Pipe Unblocker at Poundland for err...£1! A drain cleaner FANBOY. Thats a new one i imagine. Well I beg to differ on this one. We recently ran out of fabric condtioner in our house, and bought some Easy 3 in 1 conditioner, stain remover and crease remover for a quid from the local shop. I was amazed when it actually did all three jobs when we just wanted a basic fabric conditioner. My shirts barely need ironing and not at all sometimes, and the stain remover was pretty good too, so I would definitely try other Easy products such as the drain unblocker. Just remembered I've also tried the Easy leather cleaner for my sofa, and it works a treat - the price was a quid from our local pound shop. Stop being a jessy, get your hands dirty and clean out your trap! Does this help with constipation? Binoculars for £1 @ PoundLand! Cool. I am also worried aout the "type" of BIRDS you refer to! Everyone in my family each have a set in their bedroom....ahem....HAHA!